Visiting Disneyland during the holidays holds a special thrill! 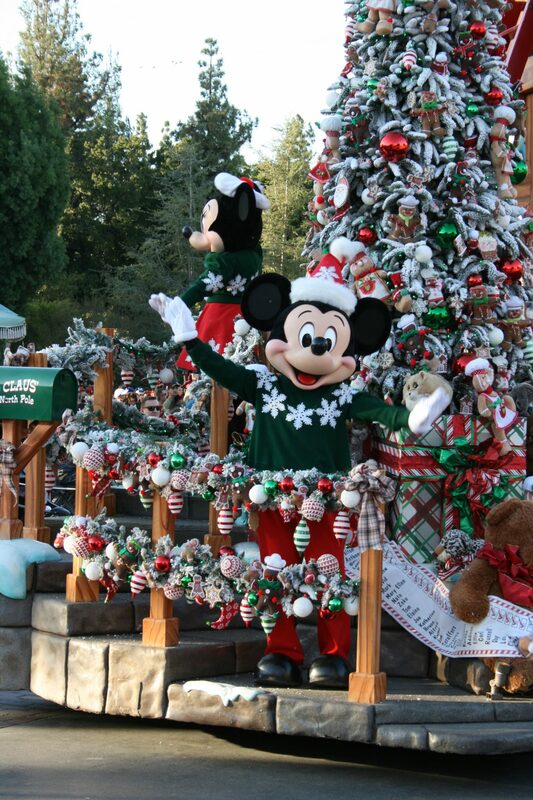 From the moment you pass through the gates, you’re immersed in the Disneyland Christmas magic. 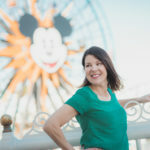 Our Day Trips TravelingMom (and frequent Disneyland Christmas visitor) tells you what you need to know about the classic holiday offerings at the Disneyland Resort. Disneyland is a delight 365 days a year, but Disney really pulls out the stops during the holidays! The entire resort is decorated top to bottom, including the Downtown Disney District, the three resort hotels and both theme parks. There are Christmas trees, swags of evergreen garland and over-sized ornaments everywhere. 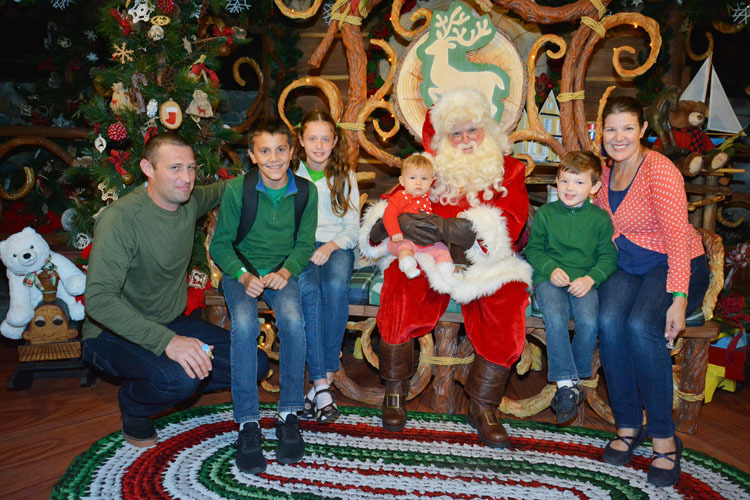 It will be easy for you to find a fantastic spot to take your family Christmas card photo with all these beautiful seasonally decorated areas during Disneyland Christmas. Also, snow falls in several areas of the parks, adding to the magical holiday atmosphere! If you’re looking for food, whether unique or traditional for the holidays, there’s enough here on the menus to please even the pickiest eaters. And nobody entertains like Disney. 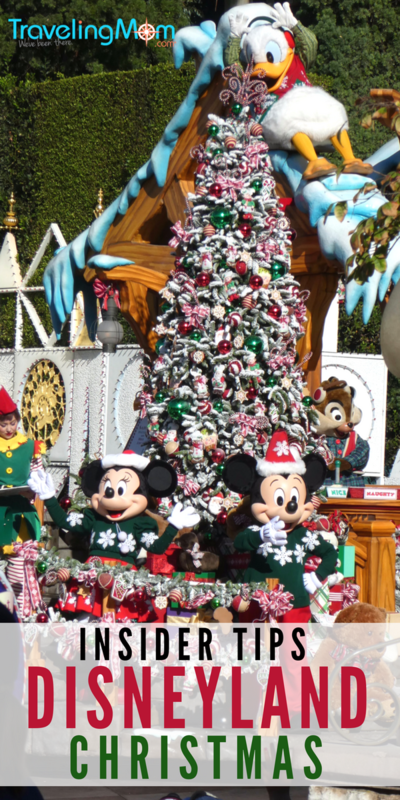 The Disneyland Christmas parade, shows and evening entertainment are joyful for all ages. 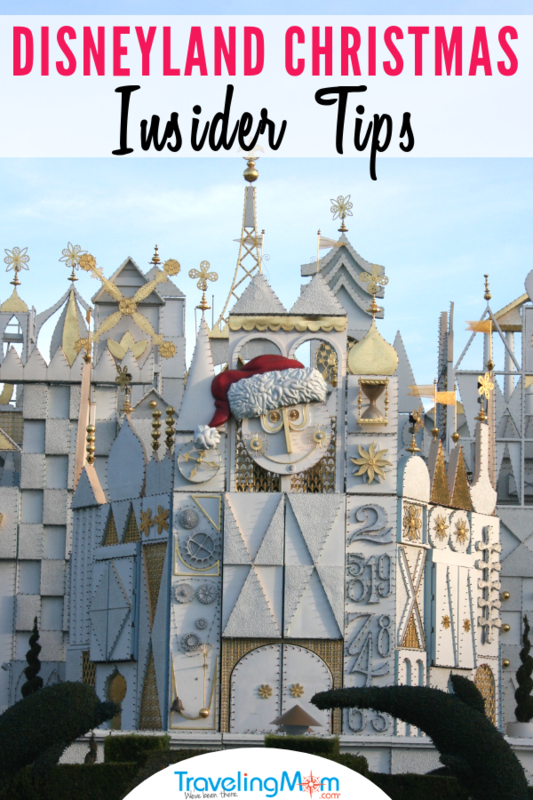 Keep reading for my reasons why you need to visit Disneyland before the holiday offerings end! 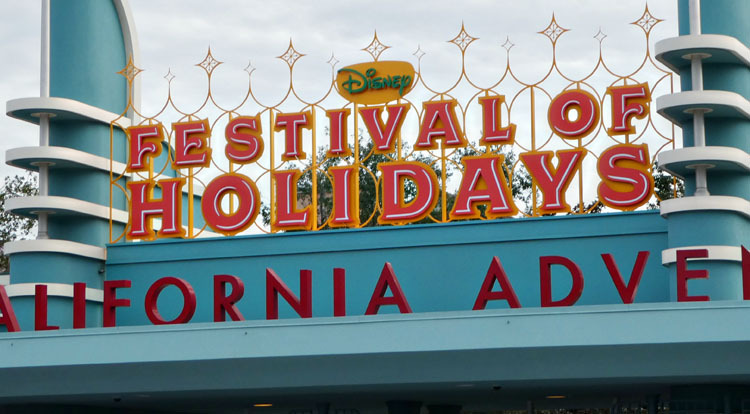 For the third year in a row, guests can celebrate holidays from around the word at Disney California Adventure Park’s Festival of Holidays. This seasonal event is included in the day’s admission and features live entertainment, complimentary crafts for kids and specialty foods for purchase. 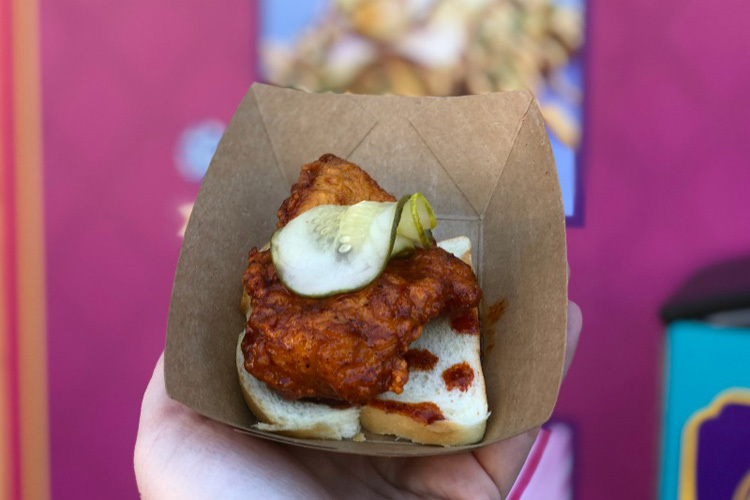 The foodie highlight of the event is the Festive Foods Marketplace, which offers snack-sized dishes from around the globe. The 12 Festive Foods Marketplace kiosks serve up freshly prepared snacks and drinks. Each kiosk celebrates either a culture or tradition of the holidays. For example, A Twist on Tradition offers twists on holiday classics, Spicy Celebrations has dishes with a festive kick and Grandma’s Recipes serves up traditional treats that remind you of home. Rich and hearty offerings are served in small portions. These include a turkey and stuffing tamale with cranberry relish, macaroni and cheese with stuffing crumbles and beef pot roast on a potato roll with horseradish cream. These dishes are more “gourmet” than the usual park fare and the prices reflect that. A single dish may cost upwards of $8, or similar to the cost of a quick service meal. Read more of the budgeting tips for taking on the Festival of Holidays With Kids and whether the Sip & Savor Pass is worth it for your family. Desserts at the Festive Food Marketplace kiosks are more reasonably priced so we bought a few sweet treats and shared. The mocha yule log with candied chestnuts is only about $5.00. It’s so cute and a special treat that won’t break the bank. The milk chocolate candy cane pot de creme is also a rich and delicious delight! My husband was thrilled to see the variety of beer options available and treated himself to an IPA. There are also many wines to choose from. Non-alcoholic sips include a warm peppermint chocolate float and Holiday Punch with lime sherbet and Sprite. Traveling Mom Tip: Lines at the kiosks were short when they opened at 10:30 a.m. By nightfall, the queues had grown. Arrive early in the day with your appetite ready to avoid the crowds! The Three Caballeros (Donald Duck, Panchito and José Carioca) host !Viva Navidad! 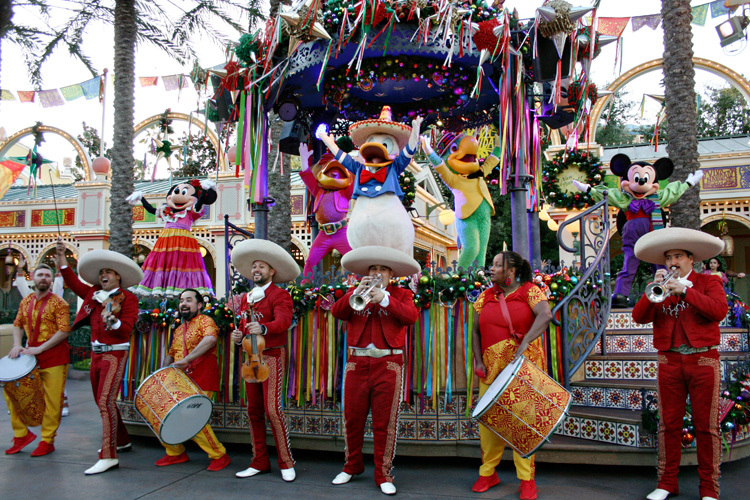 This festive celebration includes mariachi and samba music, folklorico dancers and Mickey and Minnie in full Latin-American garb. We all joined in the lively street party, dancing and clapping along to the vibrant sounds. 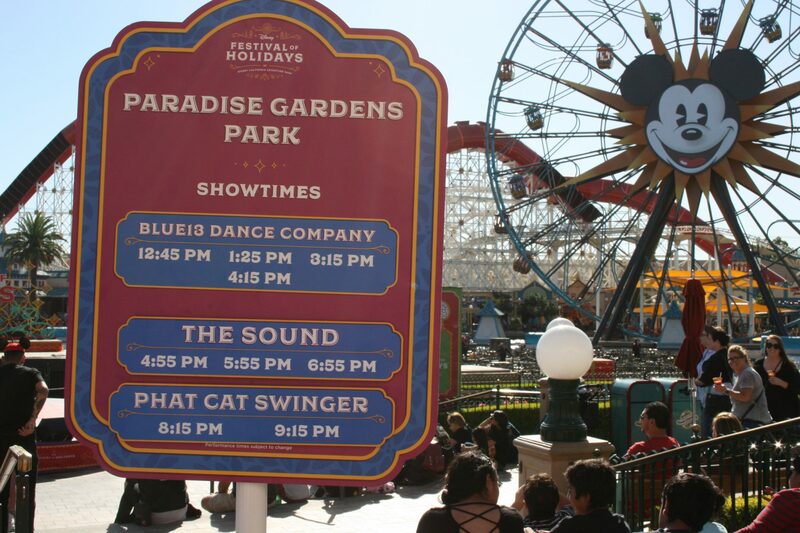 The party takes place several times a day in the Paradise Garden area of Disney California Adventure Park. Be sure to check out the 12-foot-tall Santa and Mrs. Claus mojiganga puppets; they are awesome! Traveling Mom Tip: Choose the shows that are earlier in the day to capture the full essence of this energetic show. By nightfall parts of this area are poorly lit and it may be difficult to see all of the aspects of the party. Kids can also meet and greet with many of the characters. Also, several times a day Princess Elena of Avalor (of the namesake television show on the Disney channel) serenades guests with a “magical grand arrival” and then greets children for photos and autographs. Click through to read more about meeting favorite characters at Disneyland. If you are visiting after the New Year, there will also be a Three Kings Day celebration. Disney California Adventure park will be celebrating with displays, kids’ crafts and traditional sweets for sale. Live performance groups entertain the crowds at several venues this holiday at Disney California Adventure park for the Festival of Holidays. During our visit we had the pleasure of dining in the Pacific Wharf area and listening to the pleasant harmony of The Sound, an a cappella group that sings R&B-style holiday music. Mariachi Divas is already a park favorite. These ladies had us singing and dancing along with their bilingual songs. And Blue13 Dance Company offered vibrant dance routines that had guests moving right alongside them. For the kids, there are stations near the food kiosks with complimentary children’s craft tables to create art or to color. There are several crafts available to please all ages from toddler-friendly ornaments to color to more complicated weaving crafts. Do one or do them all! Traveling Mom Tip: Consider dining in the Pacific Wharf area for lunch so you’ll be able to take in a show during your meal. We were able to see two acts while we dined and the groups had the kids up and dancing in front of the stage. *Author’s Note* World of Color – Season of Light is currently being refurbished and is unlikely to show for the 2018 holiday season. World of Color-Season of Light is a nighttime holiday show at Disney California Adventure Park. It combines lights, beloved movie clips and Christmas music. Sprays of mist become the screen for projected animation of Disney and Pixar films in a winter-themed production. TravelingMom Tip: Take note that being sprayed with mist on a chilly winter night may not be ideal, so consider that before choosing to stand in the front row! Keep in mind the World of Color shows are standing room only, even if you have a FASTPASS or a special dining package! The only way you’ll have a seat is if you book a World of Color Dessert Package. 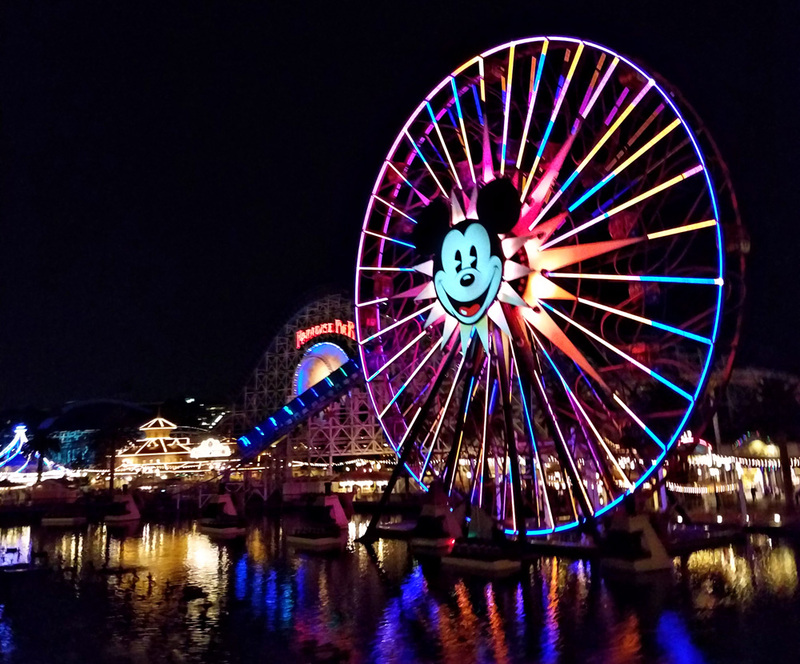 Traveling Mom Tip:If seeing the World of Color-Season of Light show is on your agenda, consider taking a mid-day break back at the hotel to rest up the family so you’ll have the stamina for a late evening show. Haunted Mansion Holiday and“it’s a small world” Holiday return with subtle changes this year that only enhance each attraction. 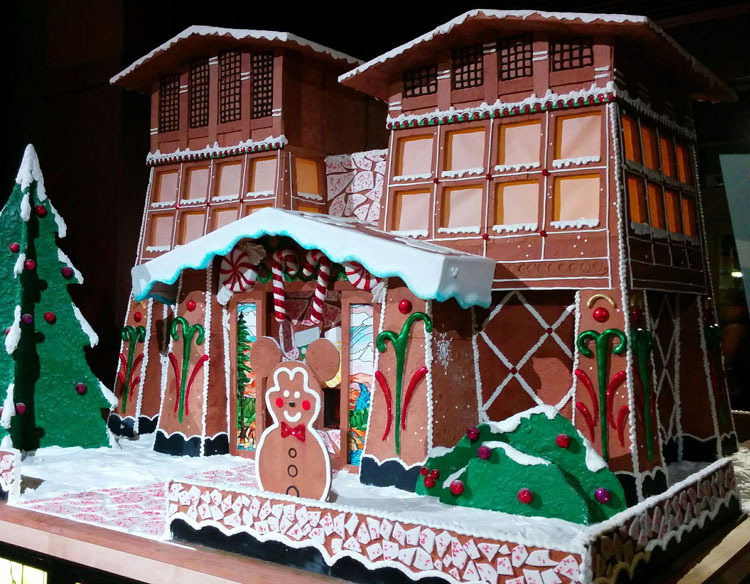 Each year there’s a new gingerbread house featured in the Haunted Mansion Holiday. The facade of “it’s a small world” Holiday sparkles again with thousands of twinkling lights. Be sure to watch for the amazing lighting and projection show that happens on the building facade every 15 minutes after sunset. Traveling Mom Tip: The attractions with holiday overlays are extremely popular but fortunately both are offering FASTPASS this season. Grab your FASTPASS early to beat the crowds. Over in Disney California Adventure park, you’ll also find seasonal overlays on two rides inside Cars Land. Mater’s Jingle Jamboree and Luigi’s Joy to the Whirl feature holiday decor and music. Read more about these special holiday rides. Yes, crowds can be overwhelming during the holidays and line queues can be extensive. But there are many tricks guests can use to maximize their time! Using the Disneyland app, guests can purchase Maxpass to book their FASTPASS via their smart device. Guests can also bypass quick service lines by using mobile ordering. 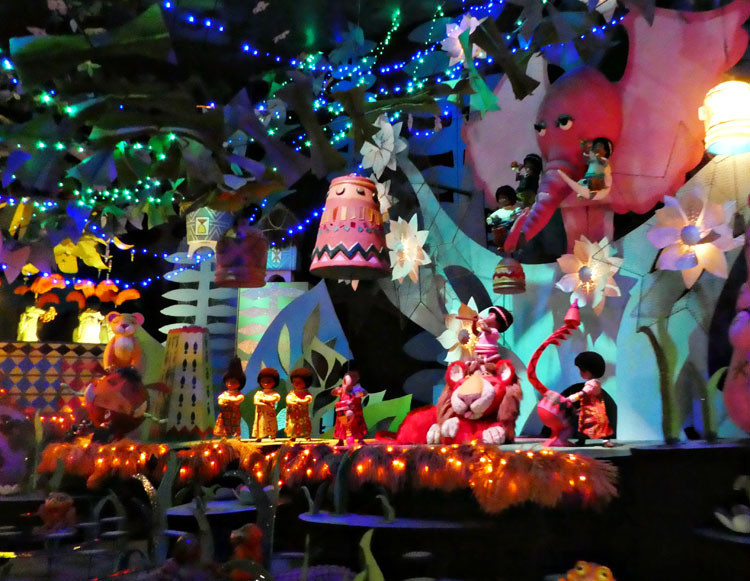 Be sure to check out this post about navigating holiday crowds at Disneyland for more seasonal tips. Dancing reindeer and gingerbread, a toy workshop and Santa atop his sleigh! A Christmas Fantasy Parade is back. We watched the parade just across from “it’s a small world” Holiday, which is generally a less crowded viewing area (versus Main Street U.S.A). I love parade-watching as a wonderful way to see favorite characters without waiting in long meet n’ greet lines! Kids will be able to spot Anna and Elsa, Tiana, Belle and Beast as well as several other Disney princesses. Favorites like Mickey Mouse, Minnie Mouse, Goofy and Pluto are there too! There are some classic Christmas themes featured, like gingerbread house decorating, snowmen, Christmas caroling along with outdoor fun like skiing and ice skating. The parade culminates with a fantastic float featuring Santa Claus. Traveling Mom Tip: Park guests will start lining the street very early to get their favorite spot to view the parade. Consider grabbing a meal or snack then choose your spot about an hour before the parade time. Carefully themed throughout many of the different “Lands” and areas of the Disneyland Resort are the amazing holiday decorations. Taking a photo in front of the towering Christmas trees inside each park is a must-do. 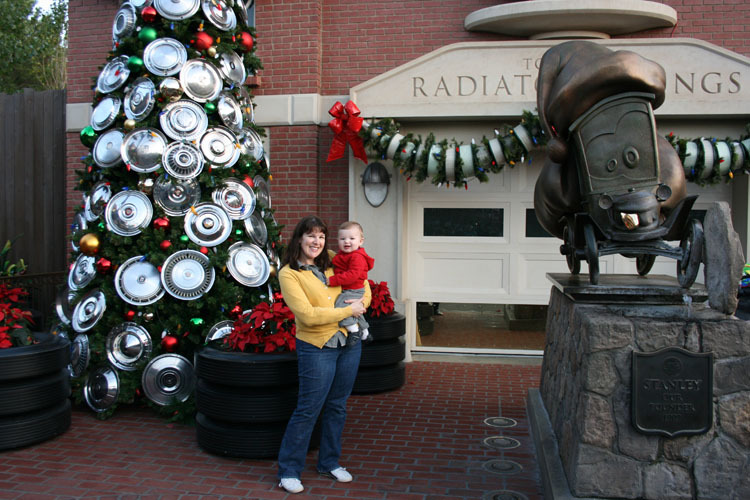 Two of my favorite areas with seasonal decor are Toontown and Cars Land. 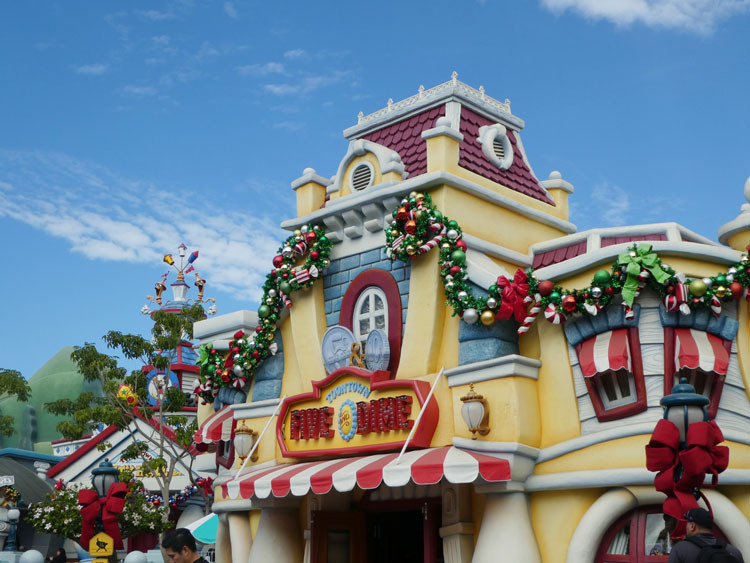 Toontown in Disneyland Park is so bright and colorful, with over-sized garlands that are so appropriate for this zany “Land.” The holiday decor in Cars Land could not be more perfect! From the Christmas tree studded with hub caps to the air filter and white-wall tire garlands that drape over Route 66, Cars Land is positively charming for the holidays. Traveling Mom Tip: Keep a lookout for the PhotoPass photographers stationed around the park. They take wonderful photos of your family with the seasonal decorations. But you don’t need to purchase the Disney PhotoPass plan. You can hand your camera to the photographers and they will take your photo for you without charge. Find out more about taking great family photos at Disneyland. Fireworks shows at Disneyland are not to be missed. Believe…In Holiday Magic fireworks spectacular has returned to the Disneyland Park this winter season. All the sparkle, the stirring music and yes, even the snowfall has returned! Traveling Mom Tip: Watching from in front of Sleeping Beauty’s Winter Castle on Main Street U.S.A. is always magical. However you’ll still be able to experience the show (and snow!) with slightly smaller crowds if you watch from the area in front of “it’s a small world” Holiday or along the Rivers of America. Santa is stationed in multiple areas of the Disneyland Resort this year. Guests can check in with Santa at Disney California Adventure park, in the Redwood Creek Challenge Trail. What a charming location, with homey rustic touches (and a couch almost long enough to hold my big family!). Kids will love spending time at the Redwood Creek Challenge Trail and exploring all of the fun “elf games” that have been set up especially for the holiday season. 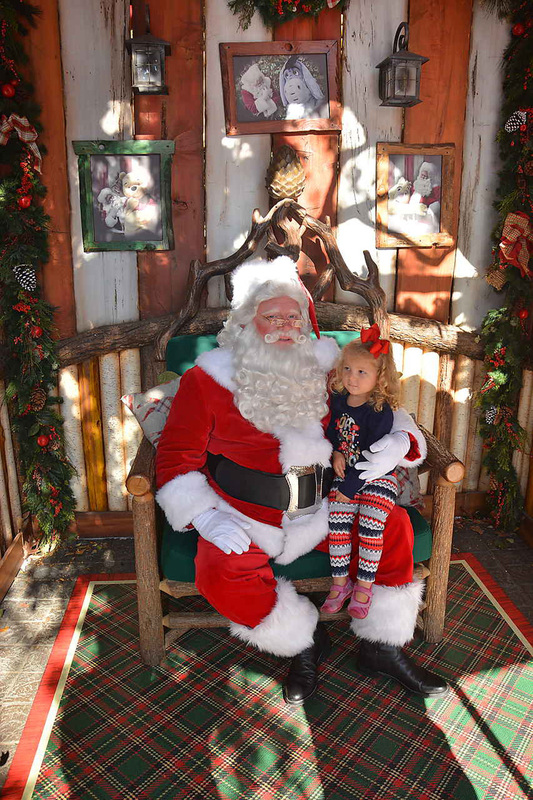 If meeting Santa and playing on the trail is important to your kids, I recommend referring to the Disneyland app so you’ll know when this area opens each day. You’ll want to get there first thing to minimize line waits. But still expect to spend about an hour exploring as there’s a lot to see here! You can also meet Santa in Critter Country in Disneyland Park. Check your Disneyland app to verify times (as Santa doesn’t arrive right at park opening). You’ll also find Santa at select times inside the Resort hotels. Click through to find out more about where to find your favorite holiday characters including tips on meeting Santa at Disneyland. 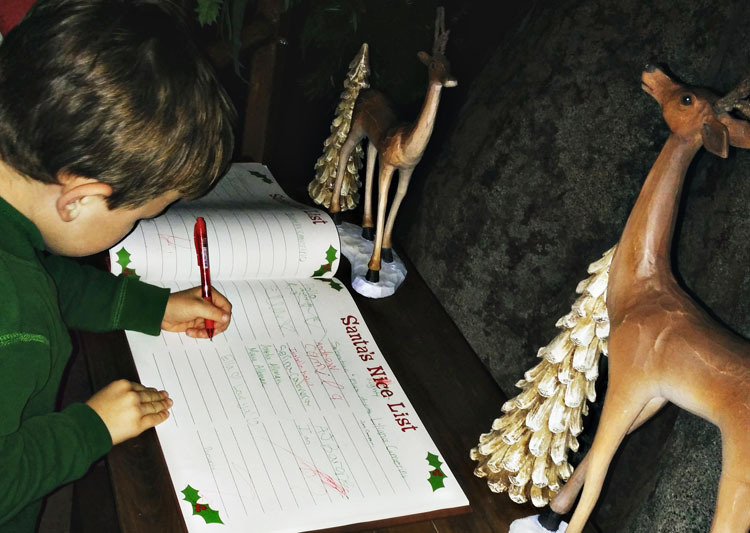 Traveling Mom Tip: Log your name on Santa’s “Nice List” like my son did on our visit. He joyfully wrote the names of each family member inside Santa’s book. 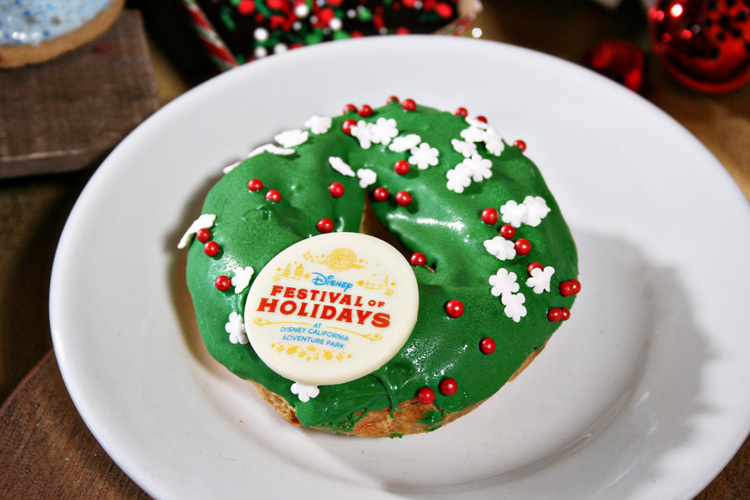 See more ways to celebrate Christmas at Disney! 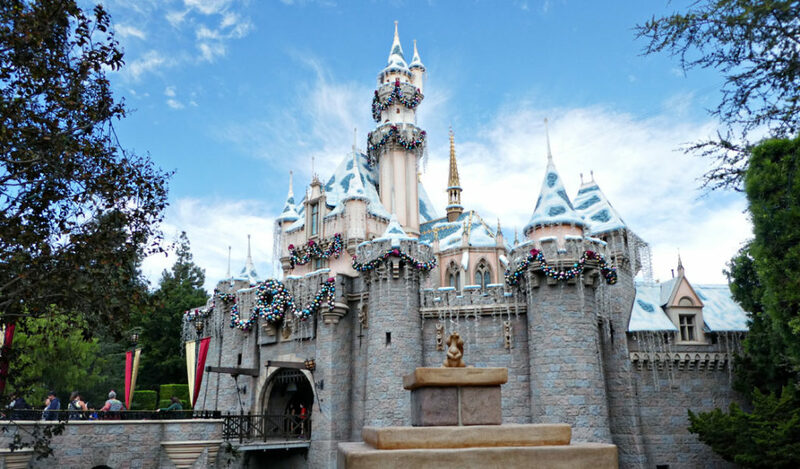 Guests celebrating a Disneyland Christmas in California need not forgo the snowflakes, as “snow” does fall in several locations through the parks! 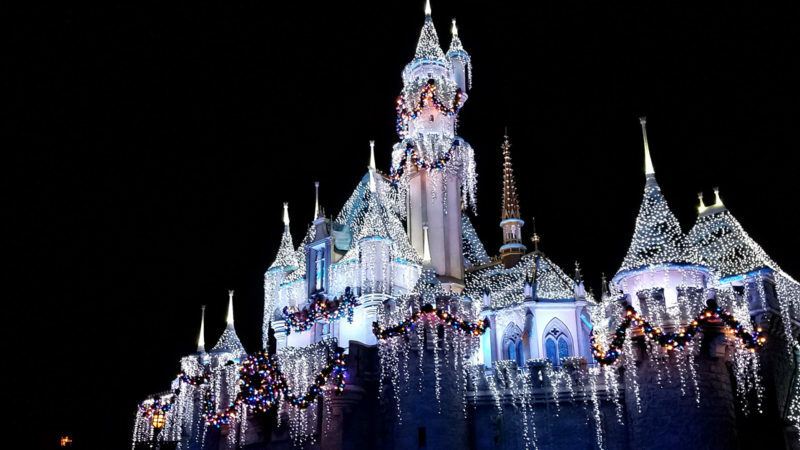 These are the spots to seek out during Christmas at Disneyland if you’re looking for snowfall. Take an evening or nighttime walk through Grizzly Peak in Disney California Adventure Park to see this magical snowfall. The lights change color, special music plays and snow falls several time each night. After the Believe. . . in Holiday Magic fireworks show, guests can dance under the snowfall near “it’s a small world – Holiday”, on Main Street U.S.A. as well as along the Rivers of America. Planning a trip to the original Mouse House? Traveling Mom recommends Get Away Today for discounted Disney tickets and vacation packages. Even better, save $10 on a two or more night trip with code TravelingMom-–just for Traveling Mom Readers! What are you most excited about for Disneyland during the holidays? Share with us in the comments! 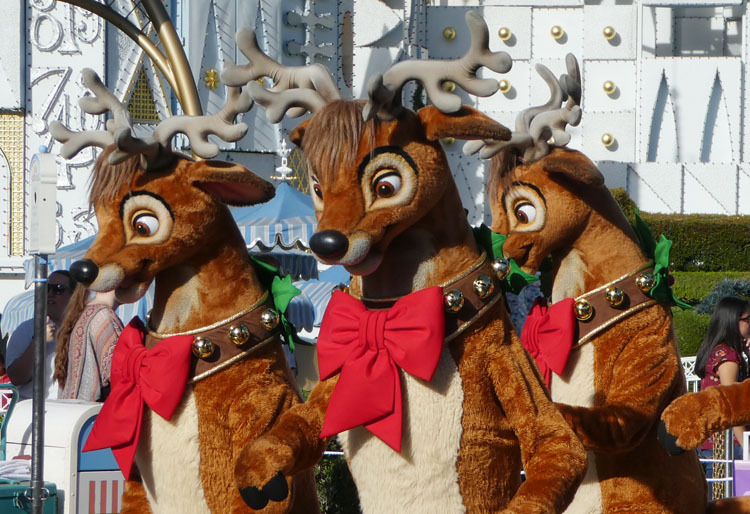 Wow, Disneyland at Christmas looks like so much fun!!! I had a giggle at the Cars Land Christmas tree. It’s Disney’s attention to detail that really sets them apart, isn’t it? We’re headed to Tokyo Disneyland for Christmas Day next year and I absolutely cannot WAIT to have a Disney Christmas!